This tin is 8-1/2" long x 5" wide x 3" deep . 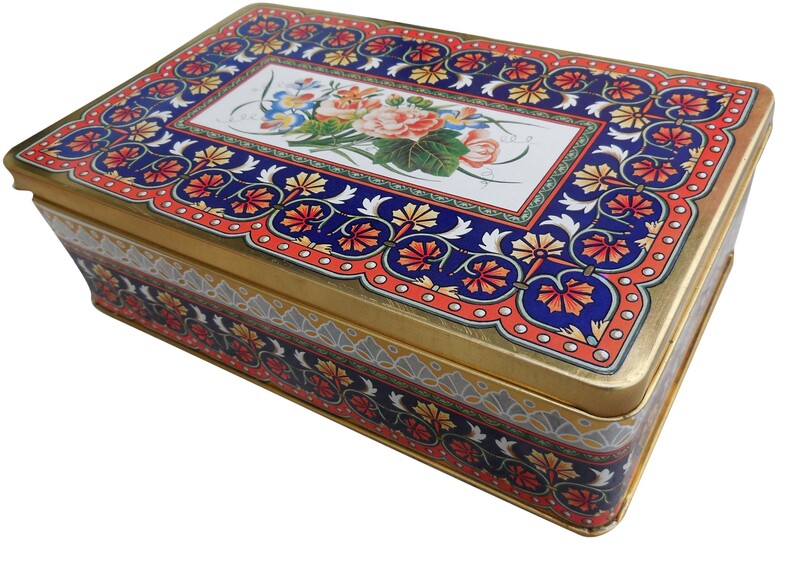 We have a wide variety of decorative lithographed tins that we offer for sale.. Most of them are out of production and many of the plants that made them in the 1980's and 1990's are out of business. 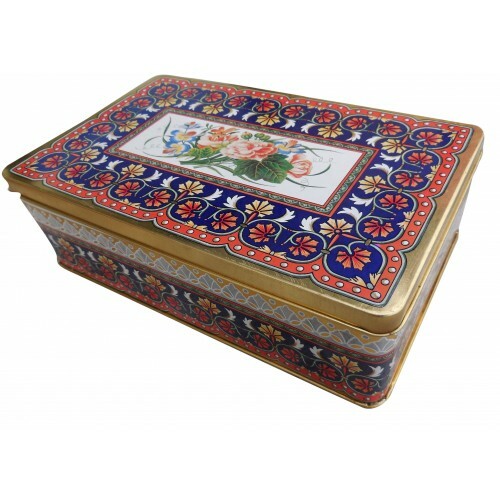 Over the past 35 years we have produce and also bought a large collection of many decorative tins.